There’s nothing quite like live entertainment to make your guests feel involved and create a special atmosphere. Let Classic Tributes find you your ideal artist or band for your wedding. From Shirley Bassey to Robbie Williams we can source any tribute artist or cover band that you require. We know how important your dream is to you – we live weddings, we love weddings – especially yours. We will work to the highest standards and we are passionate about bringing you the very best in wedding entertainment. Sophisticated, dedicated and experienced – we are proud of our reputation and will make your wedding whatever your vision of it is – from a stylish intimate reception to an exquisite lavish affair. Ian will provide you with a highly polished and unique performance and the best in tributes, live bands, DJ’s, opera singers or musical theatre. A whole evening of swing, soul, Motown and more plus disco dance music can be provided. Planning is everything, that first song can be so important and we will tailor our equipment to match your needs. Ian uses only the highest quality sound systems and state of the art radio microphones which can also be used for your wedding speeches too. This all comes as part of the package and is included in the price. Firework displays can be sourced and provided, toastmasters, close up magicians – in fact whatever you require we will do our best to source it for you at the most competitive prices and with the most professional people. You want to appeal to all your guests and get as many people dancing as possible so it’s a good idea to consider having music at different parts in the day not just in the evening. The key is to choose entertainment that is appropriate to you. Whatever your dream is, the fun wedding, the party wedding, the romantic wedding, the Rat Pack wedding or a mixture – let’s make it magical. If you dream of a Rat Pack wedding then let’s make your big day a swinging affair - the essence of stylish quality. 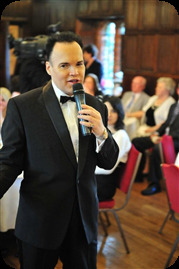 Ian is one of the most sought after swing singers in England and his Frank Sinatra tribute has received worldwide acclaim. For more details please visit his website at www.classicsinatra.co.uk. His Rat Pack tribute is brilliantly designed to suit weddings. Dean Martin and Sammy Davis Jnr can be provided, some of whom have appeared in the West End Production itself. So Come Fly With Us! 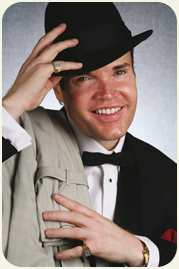 Whatever you decide on, Ian Gallagher and Classic Wedding Entertainment will make you the perfect proposal every time!